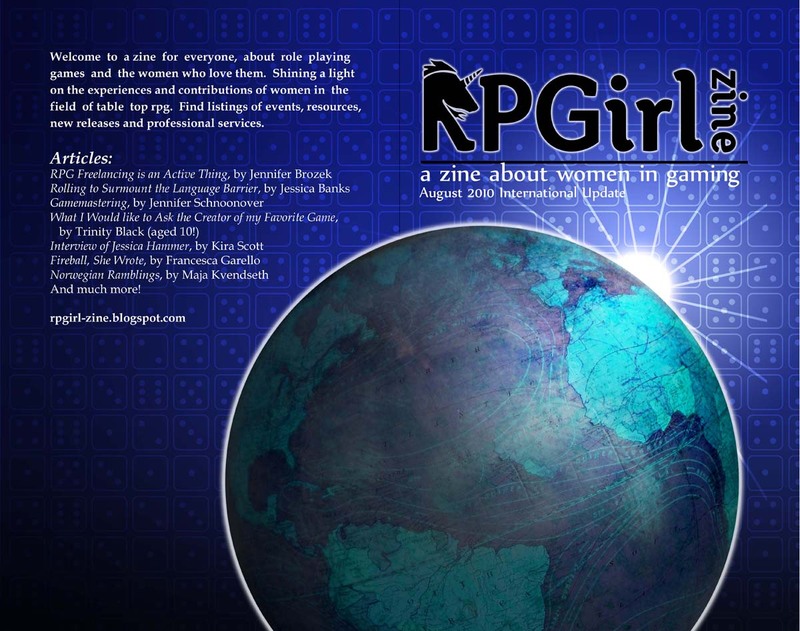 The RPGirl Zine 2010 is coming! It will be at the IPR booth at GenCon, and is available now for pre-order. This project has brought together women players, designers, writers and illustrators from all walks of the hobby, from distant corners of the globe. We hope you enjoy the fruits of our labors!